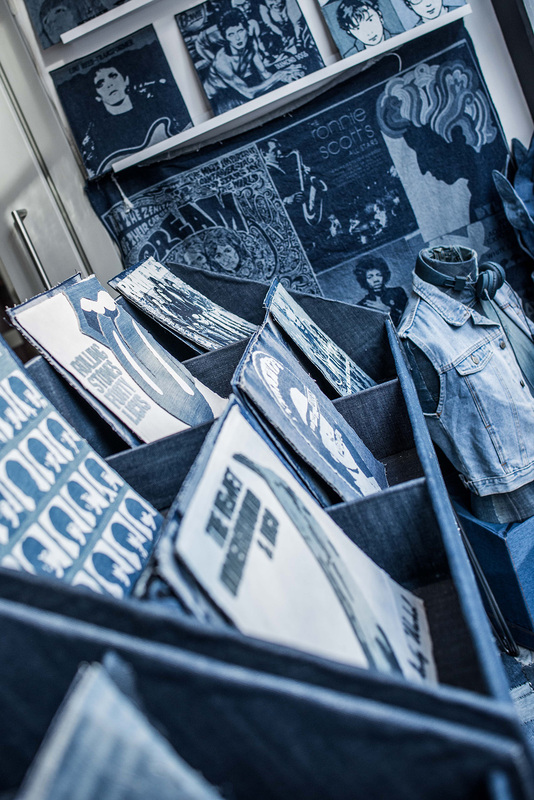 Artist Ian Berry, known for his works made just out of denim, has turned The Smallest Gallery in Soho into a vintage record store. It is a response to the ever-changing high street. Gone are the days of Virgin Megastore, HMV, Our Price, Woolworths and Tower Records where you would see such musical covers projected onto our streets. Yet it is an ode to the constant underground that music is always around and reinventing itself, as well as our lives. 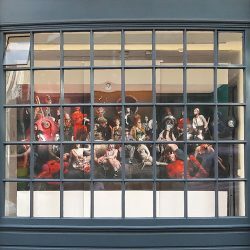 As with the previous Soho displays, Syntax worked closely with the artist and the curators to bring out the best of this site-specific art installation. Even at touching distance, many viewers don’t realise that they are looking at many layers and shades of denim jeans. The space is filled with record covers, T-shirts, records and framed albums, and lighting this challenging material appropriately was critical for the overall success of the installation. Cool white light sources were employed to complement blue-to-white colour nuances of jeans fabric. Against the backdrop of even illumination to back wall display, inviting the viewer’s gaze into the store, each art piece can be examined in more detail at the front. The subtle texture and colour gradations of the ‘record covers’ is accentuated by directional spotlights, equipped with special lenses to frame the front display and to highlight selected pieces. Up until late January 2019 at 62 Dean Street, London, W1D 4QF!